TPB – Back Issue Classics – IDW TMNT Issues #45-46 – Prelude to Vengeance! TPB Back Issue Classics are here again. TFG1Mike is joined by Joe Reed from Off The Cuff and Geek-Stuff GarageCast, as they shell out their thoughts on IDW’s TMNT Issues #45 and #46. Also they gloss over the Free Comicbook Day 2015 Prelude to Vengeance! We also talk about the solicits for upcoming IDW TMNT releases!!!!! 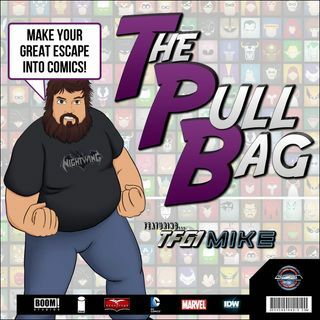 So grab some pizza, and listen in as we continue the Tubular Turtle Talk here inside The Pull Bag!